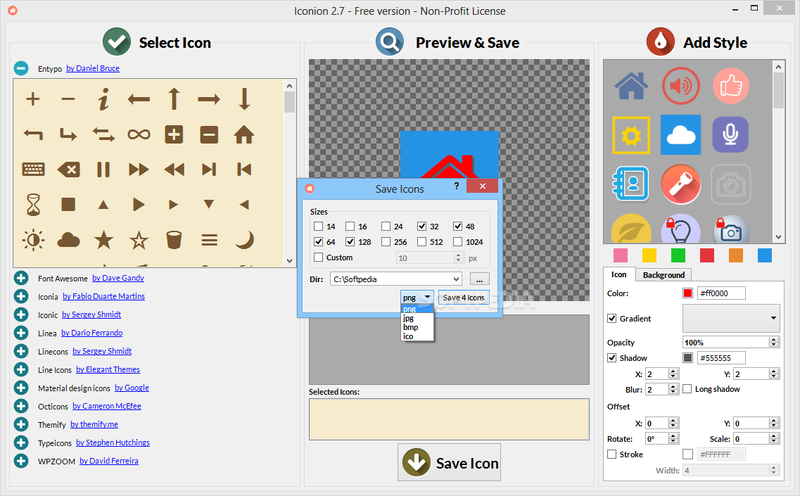 Iconion allows you to convert icons in font format to stunning png icons with the addition of color, shadow, background, gradient, stroke, and many other elements. Icons look great in any size due to scalable vector graphics. Easily change color, size, shadow, gradient, border, background, etc.